W Las Vegas condo hotel development by Edge Resorts has been approached by various investors in Las Vegas real estate interested in the two neighboring properties, which cover 49.5 acres of land on the northeast corner of Harmon and Koval, which includes the W Las Vegas and the current site of the Harbor Island Apartments. Las Ramblas Las Vegas was going to be built on the Las Vegas land that is currently occupied by The Harbor Island land abandoned by The Related Co. earlier this year. 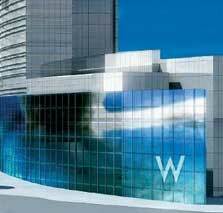 The property, which borders the W real estate acreage, was purchased by Edge for $202 million last June. Alturas Las Vegas real estate in Mountains Edge by KB Home located in the southwestern Las Vegas Valley. The Alturas homes contain notable amenities. The homes feature distinctive design elements that bring to mind a European village. While the new home exteriors feature a modern twist on Old World design, the interiors of the homes for sale at Alturas are all about modern comfort and convenience. Copperhead Canyons Las Vegas real estate features two-story homes for sale. 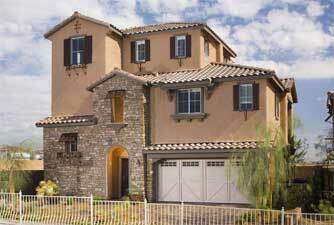 Preconstruction prices for Copperhead Canyons homes in Las Vegas start from the mid $200,000s. Three new home floor plans, the Chisum, Adobe, and Prairie, measure 1,108 to 1,605 square feet. The new homes for sale in Las Vegas, Nevada come with two or three bedrooms and 1 1/2 to 2 1/2 baths. Certain floor plans include prewiring for a computer niche, a media center and a loft area.